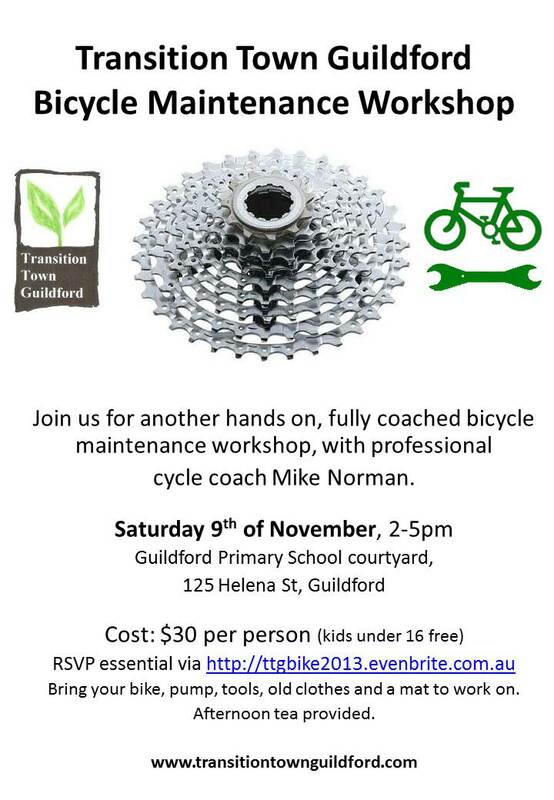 The weather is fining up, so if you want to get on your bike, join us for another hands on, fully coached bicycle maintenance workshop. What you need to bring: Your bike, plus any bike tools you already use. And to keep clean: old clothes, and if you have them, rubber gloves and a sheet of plastic to work on. This entry was posted in Community, Event, Take Action, Transport and tagged bike check, Bike maintenance, DIY, Get on your bike, Guildford Primary School. Bookmark the permalink. Fantastic idea! Great ! Loving it!